Ahoy me hearties! What a week this is going to be. 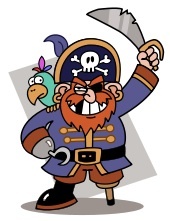 Us pirates need you lolloping landlubbers to ‘elp us. Shiver me timbers, a little birdie told us that there is some special treasure to be ‘ad and we need your ‘elp to find it. There are small tokens of treasure for you tottering turtles to collect all week in class. Added to this, challenges on this ‘ere blog are ‘ere to help you earn some more. Keep a look out friends for new challenges all week. We need to collect loads of small bits of treasure to have a hope in the high seas of finding out what the special treasure is. Maybe with your ‘elp we can find the special treasure. Wonder what it could be? So up anchor, hoist the sail and get collecting. Heave Ho ! Use your imagination to tell us what treasure has been found. Where did you find it? How did you get there? Was it easy get find? Tell us all about the journey that you went on! Today is Terrifyingly Terrfic Tuesday aboard the Oakthorpe Pirate ship. What things can you find out about Pirates today. Can you find out what some of their sayings mean? See what these mean. Maybe you could find more! We are also sailing around the world. Can you figure out where we are from these clues? Maybe you could come up with your own clues for your own Pirate Crew whereabouts!? We are following the Tropic of Capricorn. Beware of Indians in the Ocean. We have found the 47th largest country. Take care to avoid dancing lemurs! Right then me ‘earties. It’s Walk the plank Wednesday and ‘ere’s your challenge today. On board our ship, each pirate needs the following equipment. You need to work out ‘ow much needs to be loaded on our boat for 12 pirates. We should then be ready to set sail for another day of pirating. Thanks for yer ‘elp ship mates. I think the treasure will be lots of new things to play with in our classroom. I think it would be really good to share the treasure and not keep it all for myself. What would be the best new things in the classroom? Is the most expensive thing the best ting to help us learn? Lots of books to read and learn. As long as its edible!!!! HA LOl! No, I actually I think that it SHOULD be like a Good book of pirates or an adventure story. I would love to find that treasure. Maybe we could hide it in our pirate ship for others to find. Which learning habit do you think is the most precious? Learn from your mistakes because if you never go wrong then you won’t learn new things. I thing that one to Abbie too! Or Challenge yourself; Challenging yourself is not just choosing a trickier question in maths it can mean many many different things in many many different scenarios. I’ve found treasure under my bed and in my mums purse. I could find it in the bank , at a museum or at a bookingham palace! Great to see you back on the blog, Harry. Don’t tell the pirates how easy it is to find the treasure! Is your treasure money ? ARR! Treasure doesnt have to be money Abbie. You could have an old say….. teddy that is very precious to you. Treasure is something valuable to you or others. Did you know…. Shiver me timbers actually means shave the lower part of me back!!! Thanks for sharing that with the class today Charlotte! What was the other fact you found out? Kenya is where you are. I think the lemurs are on an island. We have found out where you are! We looked in an atlas. We knew the country where you find lemurs and checked on the map. We found out all about lemurs at twycross zoo. Can you find our ship? We have sailed even further round the world. We found out about this place at the zoo too!! CLUE 1: We are on the third largest island in the world. CLUE 2: We are on the equator. CLUE 3: Watch out for the orangutans! Ooooo great travelling! I wonder, are there any rainforests where you are? Great Clues Abbie and Alice. I wonder if anyone can help me out and figure out where you are! Thar she blows!means when a whale spreads the water out of its hole in its head. Ship shape!means cleaned up and under control. Savvy?means do you understand do you agree? Run a shot across the bow!means warning shot another ship captain. Poop deck!means it is not a bathroom the part of the ship furthest to the back, above captain quarters. Heave Ho!means give it some effort. Batten down the hatches!means put everything away and tie everything down because a storm is brewing. Ahoy me hearties!means hello my friends. Aaaarrrrgggghhhh!means a pirate is unhappy. Shiver me timbers!means shave the lower part of me back. because Orangutans live in Indonesia. Our pirates are just on 1 island. There are lots of islands in Indonesia. Can you find which one? There are 17 508 islands in Indonesia. 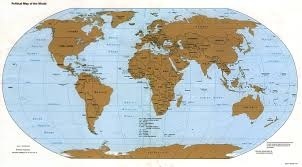 Our island is divided into 3 different countries. Has anyone found our island yet ? These are very lucky pirates having pillows and blankets!! We have equipment lists to bring to school. Thar she blows! – means there is a whale sighting. Shipshape- means cleaned up and under control. Savvy?- means do you understand and do you agree? Poop deck- is the part of the ship farthest to the back, which is usually above the captain’s quarters. This is not the bathroom. Batten down the hatches- means put everything away on the ship and tie everything down because a storm is brewing. Shiver Me Timbers!- (as charlotte said) means shave the lower pat of me back. Three sheets to the wind – is someone who is very drunk. One sheet is mildly drunk and four sheets is passed out. Splice the mainbrace! – means give the crew a drink! Landlubber – is a big, slow clumsy person who doesn’t know how to sail. Keelhaul -is a punishment in which a person where dragged underneath the pirate ship from side to side and was lacerated by the barnacles on the vessel. I could do one this Friday in my Rainbow Writing! To work out what you would need to board the ship you would need to times/Xs the things you need by how many people there are. We have 12 pirates so we need to times the following by 12. And that is what you will need for 12 Pirates! 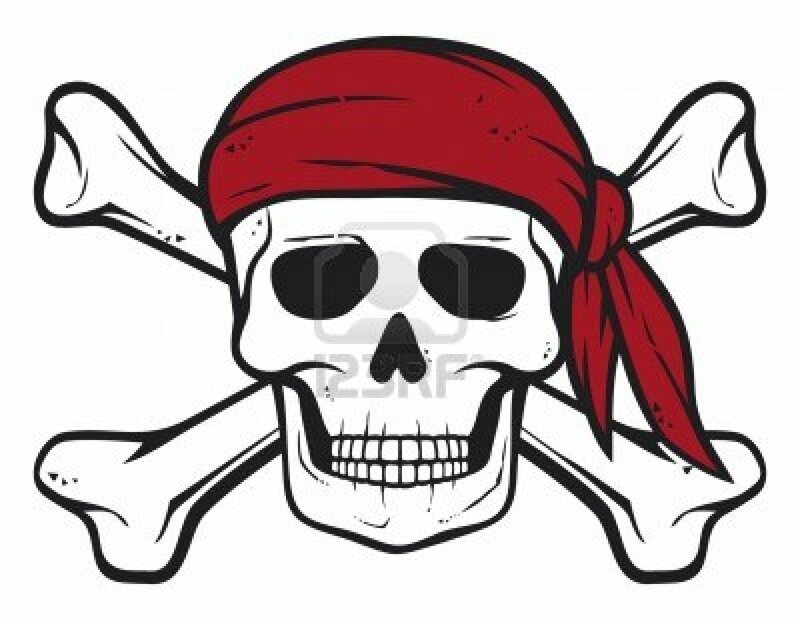 That jolly Roger flag,with its black backgroud and white skll and crossbones,was disigned to be scary. My treasure is a chest of the 4R’s. I went on a journey to the land of ALPHABET to find it. I sailed the seas of 3, 4 and 5 Q’s I then sailed the seas 1, 2 and 3 of R’s, then I found it! Another group of pirates (the moodhoover gang) were on their way to find MY treasure too! They were going t use it to pay for bad thoughts and dreams! I however wanted that treasure for a positive attitude towards school work, actually not just for school for all times, and I WAS going to get it! To get past the moodhoovers I had to fill their heads with a positive attitude; It worked. They wanted to have positive attitudes too so we shared the treasure and now I will put extra effort in all the time!! I think the 12 pirates are very lucky for having pillows,blankets,oranges and grapefruit.I bet most of the pirates did’t have all that. Not having a bath? Raiding other pirates ships? Wearing peirced earrings? the anwser was…………………………..Wearing peirced earrings? Finally! I got me treasure that I been Hooking for! That was a long journey me ship mates. I past the Atlantic Oceon full of the hideous,ugly and slimy squid and sharks. WHAT A DAY! If I have to, i will not surrender me booty. Its too precious. Otherwise, if some one steals the booty, I will have them hanged on the back of me ship. Its full of Rubies and Diamonds.Sapphires and Emeralds. Gold and Silver. AND MANY MORE FRAGILE JEWELS. Did you know that me pirates are still around now. They can be found in the east coast of Africa! But they are not as cool as the ”shiver me timber” pirates that used to be around. Because they dont have any harming weapons that they had. They also now have speed boats, not the wood ones. if you go to your favourite place then you might dig a hole there will be treasure because I went to wales and I found treasure in a museam . I would not like to be a pirate because they fight. i found treasure on a big shelf and when my mum was not looking i stolle it. Ahoy-means Hello. Most pirates aren’t polite to use this word. A bilge is the very bottom of the ship I wouldn’t go down there!!! so thats you need me harties Aaaarrrrgggghhhh! Pirates would take over island ports and make them into a safe haven for pirates. I loved pirate week it was beyond amazing!!!!!!!!!!!!!!! I am back on the blog yay!!! Pirates don’t brush there teeth.